India Business Forms. Lawyer Prepared. For Immediate Download. One of the most important roles of a business owner is to adequately and accurately document the business's transactions, assets and obligations - our business forms are designed to do just that. 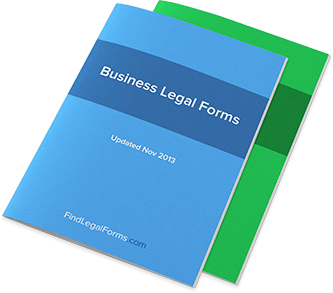 Business forms for use in numerous business situations. These forms range from corporate documents, general agreements and contracts to specialized business forms such as joint venture and franchise agreements. Maintaining accurate accounting records is essential for the smooth operation of your business. From payroll to daily expenses, protect the financial integrity of your business. Includes agreements for advertising on billboards and buildings, joint marketing. merchandising and international marketing. The tools you need when developing and writing your company's Business Plan including worksheets, marketing materials and financial plan. Collection of various corporate related forms covering a variety of different situations. Forms designed to assist you in the creation and operation of a joint venture with another entity or individual. Used when establishing a management or manufacturing relationship with an individual, employee or other entity. Notices which relate to various business transactions including notices of breach of contract, acceptance of order, rejection of goods, notice of past due payment and more. For use when establishing exclusive and non-exclusive sales representative or distribution relationships. Asset Purchase Agreement (India) This Asset Purchase Agreement is designed for use in India. This legal form is available for immediate download. Credit Memo Form (India) This Credit Memo form is designed for use in India. This form is available for immediate download. Hire-Purchase Agreement - India Hire-Purchase Agreement for use in India. Membership Application Form (India) This Membership Application Form is designed for use in India. This form is available for immediate download. Purchase Agreement (India) This Purchase Agreement is designed for use in India. This form is available for immediate download. Sales Representative Agreement (India) Sales Representative Agreement for use in all states and territories of India. Invoice (India) This Invoice is designed for use in India. This form is available for immediate download. Joint Marketing Agreement (India) This Joint Marketing Agreement is created for use in India and is available for immediate download. Marketing Agency Agreement (India) This Marketing Agency Agreement is designed for use in India. This legal form is available for immediate download. Merchandising and Marketing Agreement (India) This Merchandising and Marketing Agreement is created for use in India and is available for immediate download. Business Plan Confidentiality Agreement (India) This Confidentiality Agreement to Protect Business Plan is designed for use in India. This form is available for immediate download. Incorporated Joint Venture Agreement - India Incorporated Joint Venture Agreement for use in India. Joint Venture Agreement Amendment (India) This Amendment to Joint Venture Agreement is designed for use in India. This form is available for immediate download. Unincorporated Joint Venture Agreement - India Unincorporated Joint Venture Agreement for use in India. Manufacturing Agreement - India Manufacturing Agreement for use in India. Notice of Past Due Payment (India) Notice of Past Due Payment for use in India. This form contains two notices: The first can be used as a gentle reminder and the second is more adversarial in tone. Distributor Agreement - India Distributor Agreement for use in India. Finder's Fee Agreement (India) This Finder's Fee Agreement is designed for use in India. This legal form is available for immediate download. Royalty Agreement (India) This Royalty Agreement is designed for use in India. This form is available for immediate download. What legal forms apply to businesses? Running a business can be a difficult and complicated enterprise, particularly if you are not on top of all the proper legal filings, contracts, and forms that must be properly executed to retain your legal status. In fact, when it comes to legal forms, the category of “business” is one of the most highly-varied. That’s why a high number of legal forms are routinely used on a regular basis in the business world – these forms range from joint venture agreements and business plans to royalty agreements and work orders. Determining which legal forms best apply to your business comes from a combination of both experience and knowledge. However, many of the answers below deal with specific legal forms that may apply to your specific business situation. What do I need to include in a business plan? Business plans require a detailed analysis of the field your business will be competing in, as well as the statistics of your own projections and specific financial plans to execute the business once formed. However, there may be a wide variety of details that you yourself have not thought of which is why business plan forms and questionnaires can be particularly useful in your situation. Additionally, you’ll likely want to create a financing plan and marketing plan in conjunction with your business plan. What do I need to hire new employees? An Employment Agreement Contract is the standard form applying to your situation, though you’ll want to be aware of alternatives. For example, if you are hiring an individual on a per-project basis, you may want to have them sign an Independent Contractor Agreement rather than an Employment Agreement. Agreements with other businesses include Management and Manufacturing Agreements, as well as Joint Venture Agreements. You may also want to look into Non-Disclosure Agreements to protect any trade secrets that your employees learn as a result of working for you. My business is actually a franchise. What do I need to know? An agreement between a Franchiser and a Franchisee (you, in this case) should be carefully reviewed before you finalize any deal. You’ll want to review the Franchise Agreement and know what you’re getting into by reviewing provisions such as the Business Location, Grant of License, Term and Termination and Franchisee’s Representatives and Warranties. Be sure to use a Franchisee checklist in order to make sure that you’ve done all your due diligence. What kinds of forms help me manage my business’ finances? Invoices: An itemized statement of all products/services rendered along with a bill for payment typically sent to a client. These are usually presented by service-based businesses along with a description of the services that have already been rendered. Credit Memo: Issuing credit to a customer or client will require that a credit memo be used; you’ll want to make sure to keep a copy for your own records, as well as verification of when the credit memo was sent. Notices: Ranging from Notices of Dishonored Checks to Notices of Past Due Payment, there might be a wide range of reasons your business might need to use a notice – but it’s important to find the notice best tailored to your situation. Payroll: Various Payroll forms need to be used to keep an accurate record of everything that is being paid to your employees. Time Sheets and Annual Payroll Summaries are often included in Payroll form kits. There is more to running a business, of course, but these basic finance forms should help you understand what kind of forms you or an employee might be expected to use on a regular basis. When you register as a business in your state, you’re generally registering as a specific type. Sole proprietorship: This is a largely informal way of handling business, and will require that you don’t actually have any employees – it is, after all, a sole proprietorship. This can be a very flexible type of business in terms of taxes, but when your business needs a new employee structure you’ll have to change. Limited Liability Company: This is often the type of company that certain firms (such as legal firms) opt for. Its objective is in its title, reducing the liability of the person who owns the LLC from anything that the LLC is directly involved in. For this reason, many real estate ownership companies are also LLC’s. S-Corporation: Mainly created for a specific type of tax structure, the S-Corporation comes in handy when its owners want to avoid double taxation that comes from paying both a corporate tax and an income tax. C-Corporation: Also known as a traditional corporation, this type of corporation is separate and distinct from its shareholders, which often means reduced liability but a potentially increased tax burden. I’m a general contractor. What kind of forms do I need? Using a General Contractor Kit will often land you such legal forms as General Contractor Amendment Agreements, Invoice and Change Order Forms – though there are many more forms you may want to ensure are part of the kit. You’ll also likely need to get used to signing Nondisclosure Agreements with your clients to prevent the sharing of trade secrets you learn in your general contractor endeavors. How do I know my business forms are valid? You’ll need to make sure that your business forms comply with the laws of your local state. Some forms apply at the federal level, so there will be less concern there. However, you’ll be able to have a good idea about the validity of your forms in their thoroughness, their language and the provisions they contain. The best you can do is to educate yourself about these forms and know what’s required of you and your business.